Save big and get your holiday shopping done early. It's never too early to grab holiday gifts at great prices, but today's deal is all about the kids. Ahead of its usual Black Friday blowout, Amazon has slashed prices on its Fire Kids Edition tablets to the lowest prices we've ever seen, and all three sizes are getting in on the act: You can save $30 on the 7-inch modelRemove non-product link, $40 on the 8-inchRemove non-product link, and $50 on the 10-inchRemove non-product link, bringing their prices down to $70, $90, and $150, good for up to 30 percent off. Most importantly, you'll also get a free one-year subscription to Amazon FreeTime Unlimited, which will give your kids access to a huge library of age-appropriate entertainment. Beyond this, parents can set and control up to four profiles, as well as limit usage time and what the tablet is being used for. And parents can use it too by signing in with a separate passcode to unlock features blocked in the kid-friendly setup. 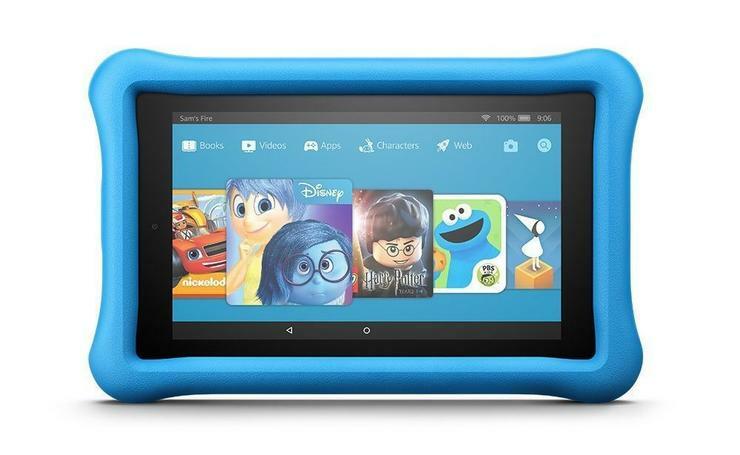 We haven't reviewed the kids edition of these tablets, but they're all very well received by customers. The 7-inch version of this tablet has the most reviews, with 4.1 stars out of 5 over more than 10,300 user reviews on Amazon, but the 8-inch and 10-inch models are well-liked as well. And at these prices, you'll be as happy as the little ones will be.